DAEMON Tools Pro is a powerful and professional optical media emulation tool that provide a full range of tools to operate with images, DT, SCSI, IDE devices, VHDs and TrueCrypt protected volumes. It allows you to easly create, edit and mount images on your PC and the emulation of CD, DVD and Blu-ray drives. DAEMON Tools Pro is a full-features app that provides up to 32 DT and SCSI virtual devices, and 4 IDE drives are available too. Using the virtual drives, you can reach much faster performance of images than with the ordinary physical CD-ROM. Furthermore, DAEMON Tools supports many popular image types, including *.mdx, *.mds/*.mdf, *.nrg, *.iso, *.bwt, *.b5t, *.b6t, *.bin/*.cue, *.ccd, *.cdi, *.ape/*.cue, *.isz. Using the variety of images, you can store different install discs, CDs and DVDs with music, games or video in touch. Also, you can mount VHD, VMDK, TrueCrypt and password-protected ZIP archives in addition. DAEMON Tools Pro is also available in a freeware edition: DAEMON Tools Lite. 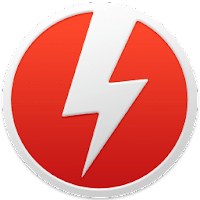 Disclaimer: Direct downloads for the lastest version of DAEMON Tools Pro 8.2.0.708 are provided by the official software's author, we can't guarantee safety, availability or download speed. Moreover, we don't and we won't provide any pirated/illegal versions or tools. We recommend you to avoid it as these methods can harm your device. If you like the software, buy it to support the developers. (We provide software discounts for many worldwide brands).